Thanks to Nulo’s passion for pet nutrition and healthy lifestyles, we are giving away a Fit Bit! Our winner will count every happy step of those Spring dog walks. 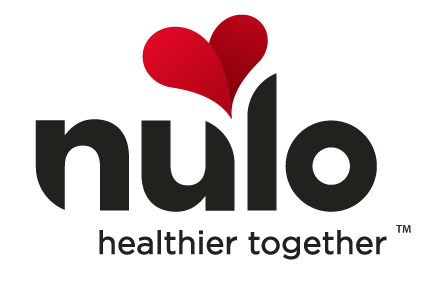 During the month of February enter to win the fit bit with every purchase of Nulo. Second and third place will win free Nulo cat/dog food! To remind you…Nulo is proudly made in the U.S. using only the highest quality ingredients. Nulo is low in carbs and uses low glycemic ingredients in every recipe. Great nutrition isn’t worth much if it isn’t digested thoroughly. Nulo has a patented probiotic to provide better nutrient absorption. Haven’t tried Nulo? With our satisfaction guarantee, now is the time to try. 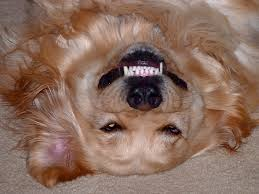 February is pet dental month. The bacteria living in your pet’s mouth may be causing the bad breath which makes you avoid those most excited kisses. These bacteria can lead to oral disease and increase the risk for more serious illness including heart disease. The American Veterinary Dental Society reports that 80 percent of dogs and 70 percent of cats show signs of oral disease by age three. Warning signs include bad breath, tartar and swollen red gums. Fractured teeth or cavities can be painful and may change your pet’s eating habits. Prevention is the key to good health, so we are helping you with a sale. Check out our selection of quality and cost-effective tooth brushes/paste, water additives & chews which aid in keeping those teeth clean. There are many options of dental care for your dog or cat, but it is hard to beat brushing; the challenge of course, is getting us to comply. 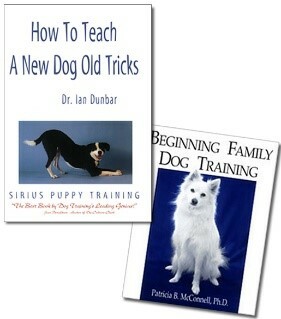 We recommend Patricia McConnell and Ian Dunbar as Nationally recognized humane trainers. You can also explore the human dog relationship with other titles such as The Culture Clash by Jean Donaldson. We have excellent local trainers who ascribe to the positive reinforcement model. Stop in or call for recommendations. Da Zhang Wei and Hiu Chen Yu are both one year old. 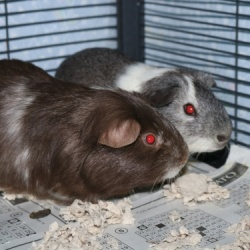 These handsome fellows are available through the Iowa City Adoption Center, call (319) 356-5295 or visit www.icanimalcenter.org to learn more about all the animals at the Center.